Order website content, SEO articles, blogs on web hosting from experienced writers for promoting your web hosting business. Tough completion is what differentiates a web hosting business from others and so it requires quality promotion which is only possible by quality content writing in India. In order to write hosting articles, a writer must have good knowledge of hosting services as then only he can describe business properly and correctly. The requirement of website development and web hosting goes hand in hand. Big players like Flipkart, Amazon have opened eyes for a number of individuals as well as small businesses trying their fate at least once. This has increased the demand for web hosting and that’s why the market is flooded with web hosing service providers. But this has increased competition and now the race is to be on the top position. But how to showcase your website on top page of Google? Our content writers have the answer! 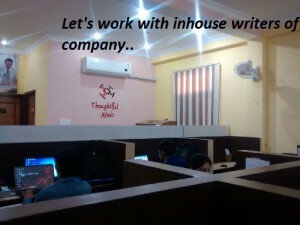 Read on to know about it and hire content writers in India. Mail us your requirements for articles on Web Hosting at info@thoughtfulminds.org or call +91-9413348979. For Bulk orders or monthly requirement we have special price. Mail now! What kind of web page you need for your web hosting business? Web content writing for web hosting business needs to be highly technical yet fully understandable to the visitors. For instance, while writing content, the writer should know it is not possible for any hosting company to provide 100% up time as data transfer and maintenance requires some amount of time. Therefore, the content writer specializing in writing web hosting articles must write minimal or minimum downtime while talking about the strength of the company. Additionally, the web hosting page should be written with all the features, prices, testimonials and important links that are helpful in showcasing the reputation of the company and building trust of customer in the company. 1. To understand the difference between dedicated, shared or reseller hosting, SSD hosting, WordPress hosting. 2. Terms like bandwidth, downtime, uptime. 3. Email hosting- features, why to use it and so on. Why Thoughtful Minds for web hosting content management? Thoughtful Minds is among the top 5 content writing companies in India that specializes in offering quality content writing. For more than 9 years, the company is delivering content writing services for almost every niche, with expertise in offering content for web hosting services. The article writers here have written articles for a number of web hosting firms including Hostgator. Be it, SEO articles for a web hosting website or web page content , the writers here have experience to offer complete hosting content management. Here you may have a look on sample article on web hosting to have a better understanding of writing style and quality of work you can expect. The best part with content writers of Thoughtful Minds is that they have good knowledge of SEO and hosting industry. This combination creates content that is not just visitor friendly rather Google friendly too. 5. Natural use of keywords where you can put your link with ease. What is the price of writing web page/ hosting article of 500 words? It is a general thinking that content writing at cheap price is only possible by taking help of freelancing websites or freelance content writers. 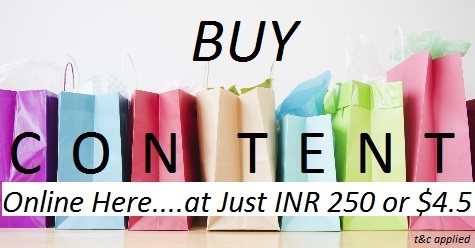 At Thoughtful Minds, highly experienced writers are available to write hosting articles and the charge is mere INR250 or $4.5 per per page/ article of 500 words. Thus with quality, you can expect cheap price. How to order hosting articles or web page content? For ordering hosting articles or web page content, you are just required to pass on the URL of your website or desired keywords. Further, you can ask for a sample article/page and if it is as per your expectations, then you can pay advance money online via debit or credit card or direct to the bank account. The best is you can contact the company representative and clear all your doubts as and when needed.